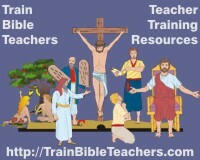 Ministry Tools Resource Center is about equipping people for ministry. To that end you will find much online training in a wide variety of ministry areas as well as downloadable training resources you can order. Sometimes people come to the site with a training plan they've already developed, simply looking for resources to supplement that plan. Others aren't sure where to begin. Foundational to Christian ministry is a good understanding of God's purposes and design for the Church. This training is especially important for leaders so they can lead the way in it but is vital to all members of the Body as well. Then comes an understanding that everybody has a part within that design and identifying what that part might be. Why Don't We Train Everyone for Ministry?